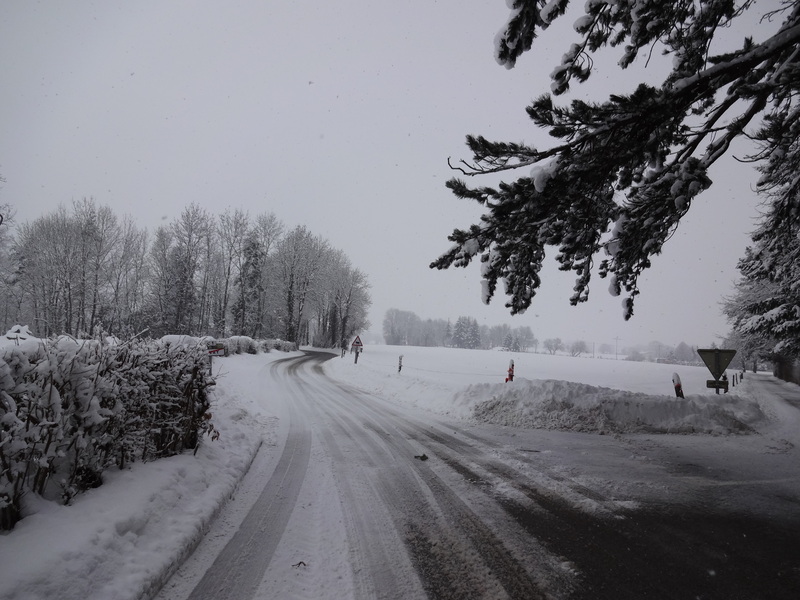 I was listening to a local radio station show on gardening and all the topics they discussed had to do with the awful weather we’ve had in the Lake Geneva region over the past few months. How to salvage trees and plants from the recent hail storm; the damage done to local greenhouses (one didn’t have a single pane of glass left intact); the lack of cherries this year due to a freezing spring and too much rain. In our own garden, none of our fruit trees (cherry, apple, plum) will be producing much this year, and the reliably abundant grape vine is almost bare. The only exception is our red currant bush, which I will be harvesting over the next couple of days and putting up as jam. 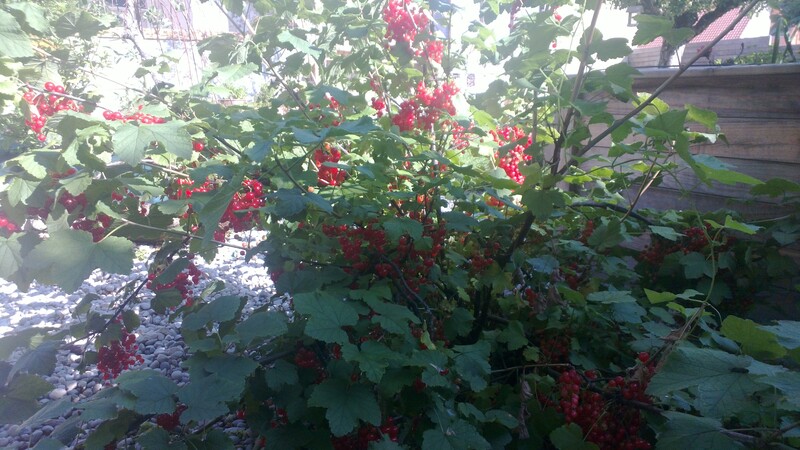 This red currant bush is a holdover from the old garden. It used to be lost in a patch of scraggy raspberry canes planted long ago by previous owners. When we laid down on a stone path and put in raised beds, we left the currant bush where it was. This is its first year on its own. It looks happy. We are finally, finally in full summer mode and I thought I’d put up a few images that contrast my running path during this last freezing spring and yesterday. 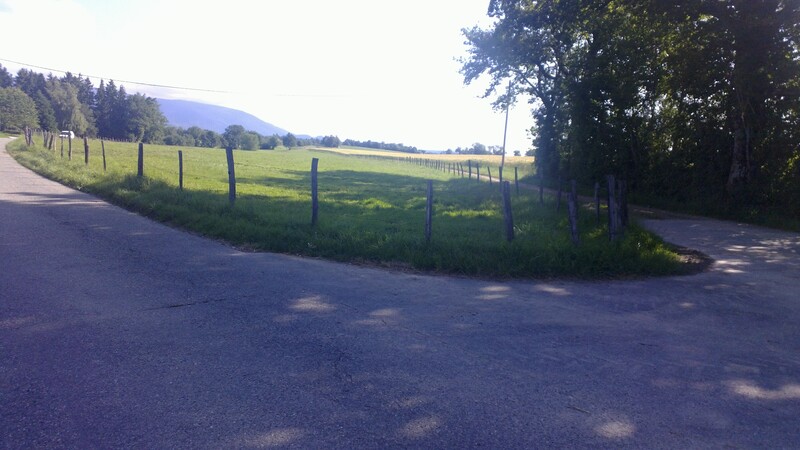 This is a crossroads where I can either head back home or loop around for another round 2-mile round. A bit dangerous with all the ice. The same spot in summer. And yes, this time I went for a another round. Then there are the fields. Winter planting always strikes me as an ode to hope and optimism in the coming of spring even as the days grow ever shorter. 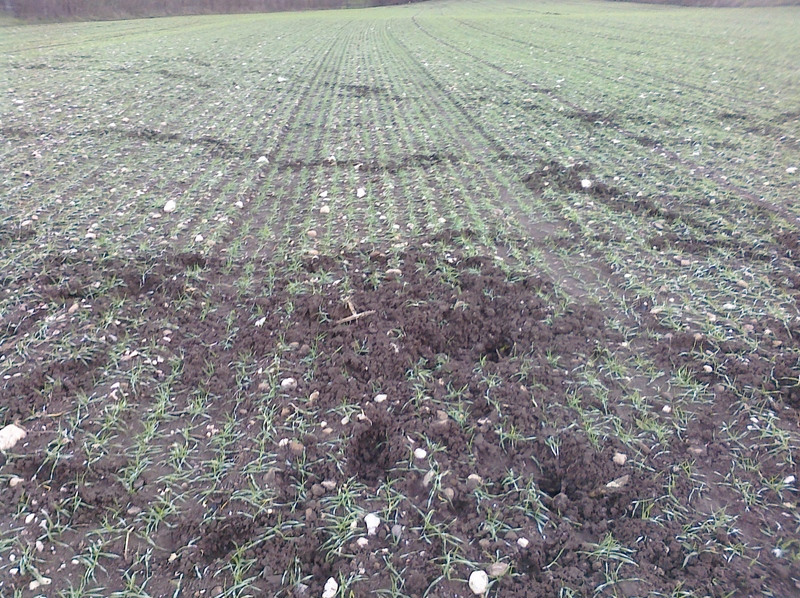 A winter-planted field, thrashed by wild boar. 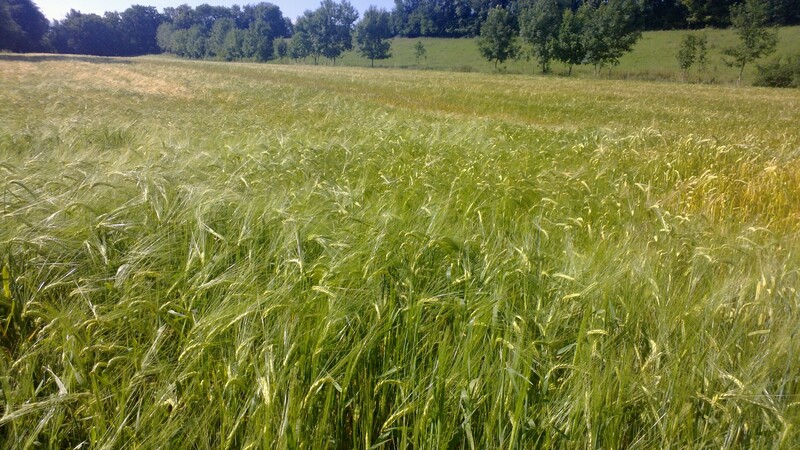 The same field, ready for harvest. Finally, the fountain that is one of my running touchstones. It’s at the top of a steep hill that marks the halfway mark of my regular round – passing it means the rest of the run is homeward bound. 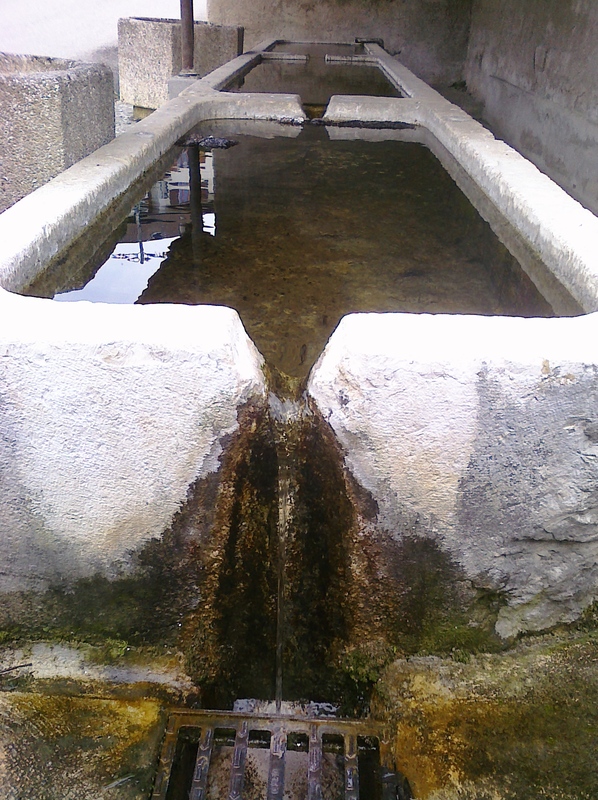 The fountain in spring, still covered in winter algae. Actually, the fountain is drained over winter, and only allowed to fill following the spring thaw – but we had approximately three spring thaws this year. 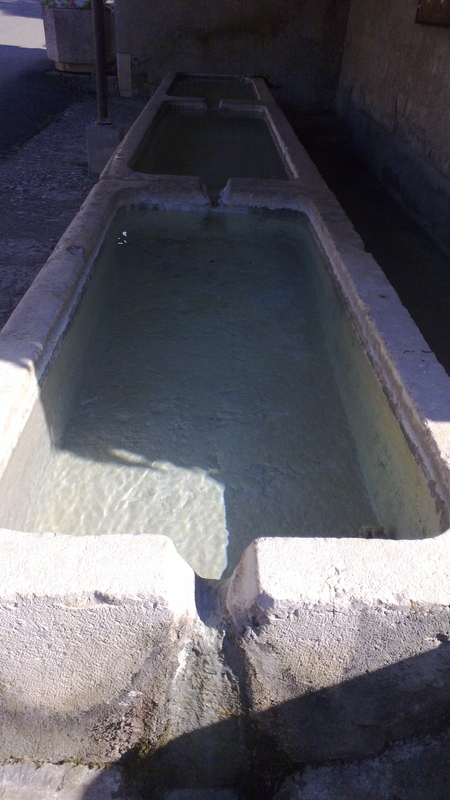 The summer fountain, clean and flowing. 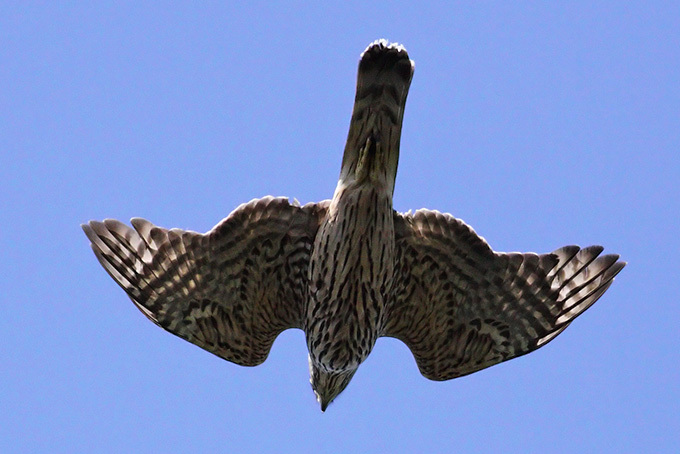 For the first time, a pair of northern goshawks (Accipiter gentilis) has taken up nearby residence. At least, that’s what I think they are. While there are always many hawks, large and small, that circle around and scout the fields, this is the first year I’ve had a pair regularly sweep within an arm’s length of my office window before swooping up over our garden. Big birds, their forms fill my window and I can hear their wings cut the warm air of this summer that took its time arriving. And while it’s neither French nor pastoral, this remains one of my summer song perennials.